The Manhattan side of the George Washington Bridge. Gov. Chris Christie said “a mistake got made” when his appointees closed bridge access lanes. 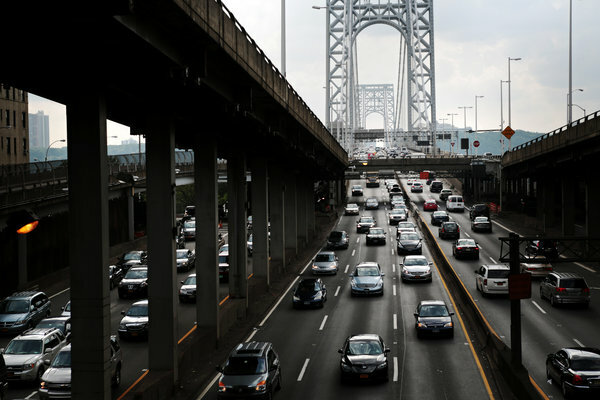 TRENTON — It began with a few orange traffic cones in September, when local access lanes to the George Washington Bridge abruptly closed for four days, gridlocking Fort Lee, N.J. But after legislative hearings, the resignations of two of his confidants and demands for more answers, the allegation that drivers were made to suffer for the sake of petty political payback has grown into a major irritation for Gov. Chris Christie. It was merely a mistake, he said, or rather, “a mistake got made.” The article that said he had called Gov. Andrew M. Cuomo of New York to complain that the controversy was getting too much attention? “The story was wrong.” The resignation yesterday, by the man at the Port Authority of New York and New Jersey, which controls the bridge? “This was a change I was going to make anyway,” Mr. Christie said. But to explain that it was not such a big deal, the governor spent more than an hour of his time. And he said he had watched “most of” the hearing this week that laid out the details of the closings — a hearing that had stretched for more than six hours. Even if the lane closings were not retribution, even if Mr. Christie did not know about them, the accusation of nasty politics goes to the heart of one of the governor’s vulnerabilities as he prepares to run for president. In how many other states, after all, do pollsters routinely ask voters whether they agree that their governor is a bully? So Mr. Christie, among the deftest of politicians, took pains to put any tone of bullying aside. His normally combative self, the wagging finger and borderline contempt for reporters, was gone, replaced by a charmer, widening his eyes and offering extensive explanation. The “culture of fear” that workers described at the Port Authority? “The first I’ve heard of it,” he said, and shrugged. He was not quite taking responsibility: more like putting distance. The lanes had been closed, he said twice, “at the request of Mr. Wildstein” — David Wildstein, an old friend of Mr. Christie’s, who resigned from his $150,000-a-year job at the Port Authority a week ago. National Democratic groups had jumped on the controversy after details of the moves by Mr. Baroni and Mr. Wildstein came out at a legislative hearing here Monday, and Democrats in the State Legislature said their investigations would continue. Assemblyman John Wisniewski, who led the hearing Monday, said he expected more hearings to follow up on seven subpoenas he sent on Thursday, including for email correspondence between the governor’s office and the Port Authority. That agency’s inspector general is also investigating. Mr. Baroni, who earned $291,100 at the Port Authority in 2011, is a former Republican state senator who was appointed by Mr. Christie in the face of a primary challenge for his legislative seat. At the Port Authority, he created a new job for Mr. Wildstein, who was a high school friend of the governor and who later became mayor of their hometown, Livingston, and started an anonymous political blog that was noted for scoops from the United States attorney’s office when Mr. Christie led it. Port Authority workers testified on Monday that the lane closings had caused emergency vehicles to be delayed, commutes to stretch to four hours and children to be late to the first day of school. It cost the agency toll revenue and overtime pay. Mr. Wildstein, the workers said, told them not to tell anyone about the closings, and had not followed procedure for such significant changes to traffic patterns — 75,000 cars use those lanes each day. The Port Authority workers said they had gone along with the plan despite warning it would “not end well”; they said they had feared for their jobs, because Mr. Wildstein worked for Mr. Baroni, and Mr. Baroni worked for the governor. If there was a traffic study, the workers testified, it had not resulted in any report that they knew of. Mr. Christie said, “I’ve heard more about this than I ever wanted to,” and said he had better ways of spending Friday mornings than talking for an hour about traffic studies and road closings. Still, at the end of the news conference, in which he named a former prosecutor and close aide of his, Deborah Gramiccioni, to Mr. Baroni’s post, Mr. Christie suggested it might be worth examining why Fort Lee should have local access lanes.